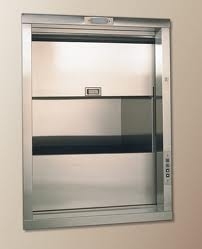 Service Lifts(Dumbwaiters) are small freight elevators (or lifts) not intended to carry people or live animals, but objects. 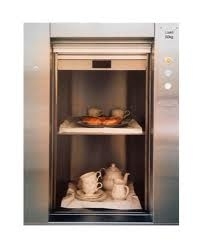 Dumbwaiters found within modern structures, including both commercial and private buildings, are often connected between two floors. 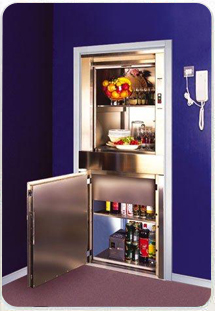 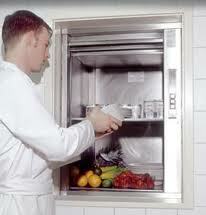 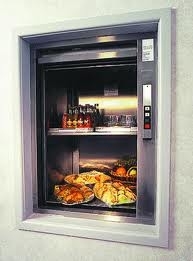 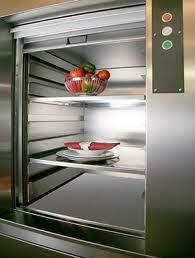 When they are located in restaurants or in private homes, the lifts generally terminate in a kitchen.